The six characters following a '#' sign in the illustration above are hexadecimal representations (there's more about hex below) of the 256 possible shades of Red, Green and Blue (00 to FF for each RGB color) allowed by the HTML tags on your web pages. Yellow (#FFFF00), which is the sum of Red and Green (FF0000 + 00FF00 = FFFF00), is the complementary color (or opposite or negation) of Blue (#0000FF). Likewise, Magenta (#FF00FF) is the sum of Red and Blue (FF0000 + 0000FF = FF00FF); the complementary color of Green (#00FF00) and Cyan (#00FFFF) is the sum of Green and Blue (00FF00 + 0000FF = 00FFFF); the complementary color of Red (#FF0000). Just as with real light, the sum of all the colors in RGB creates a WHITE color (#FFFFFF), and the absence of all the colors results in what we call the color BLACK (#000000). Note that various names for the same colors may exist! What is often called Green in the monitor industry might be called Lime by the company that created your web browser. Magenta, Purple, Violet and Fuchsia might all refer to the same exact color in different contexts! Sometimes it's a matter of light intensity such as the difference between Magenta and Purple as perceived by most people's eyes, other times it's simply a matter of choice regarding words from various languages. bgcolor="#000080" or bgcolor="navy"    for the color NAVY. (<font face= color= size= >) with the color= option set to any of the colors listed above. 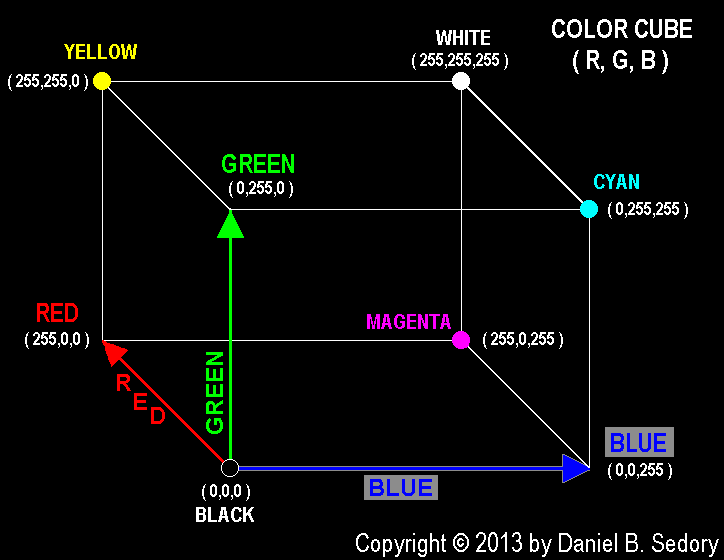 For more information and to view full-color tables of the 216 "Safety" colors, see the Appendix about color and HTML on my page All about Hexadecimal. The background color for this page (#FFDDCC) is NOT a Safety color, so it often appears differently when opened by different browsers. NOTE: Half of the 16 Windows Colors (Silver and any color using 80 hex) are NOT part of the 216 "Safety color" system! Newer browsers may not have this problem. I tend to use a lot of NON-Safety colors on my web pages. If the color (or fonts) on a page looks sort of ugly to you, it might be due to this difference.